At Ryan Funeral Home, we believe that each service should as unique as the life that is being celebrated. Every life is meaningful and every family has different ideas of how to celebrate. Our staff will provide you with a wide variety of choices that will personalize and reflect the life that was lived. Personalization of a funeral service can be found in many forms, from the location (church, funeral home, and other venue), music selection and items brought in by the family to display during the visitation or service. The ways to personalize a service a service are limitless. 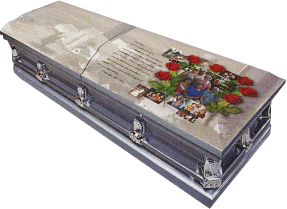 To receive a funeral cost estimate, contact Ryan Funeral Home, 608-249-8257.